NEW TORNADO T 7 driven by Phill Fields has just won the biggest FSRV 15cc European International race in Hannover October 2016. 121 cm long, 42 cm wide. 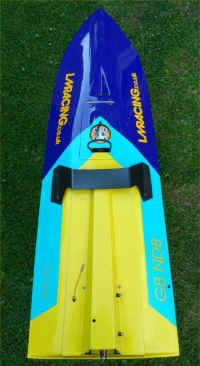 NEW T 7 This boat has a steeper V angle for improved speed in the corners and better stability in big races. Rails have been changed and hull is much more accurate. 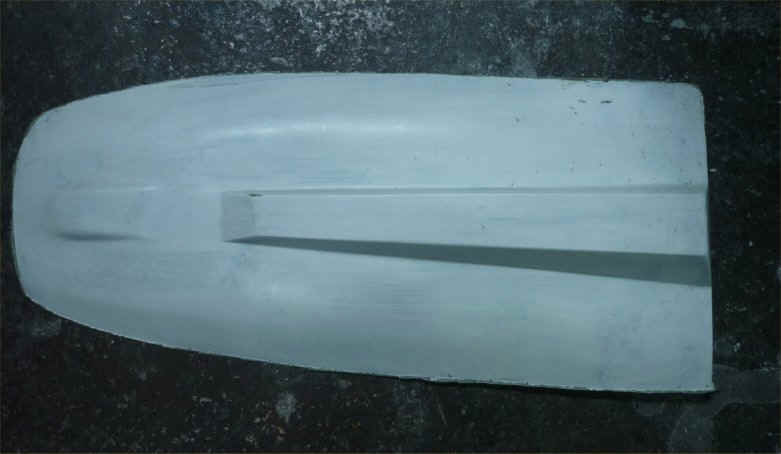 This is a stepped hull with many other hull modifications and an improved rail and hull design with very low drag for higher speeds. 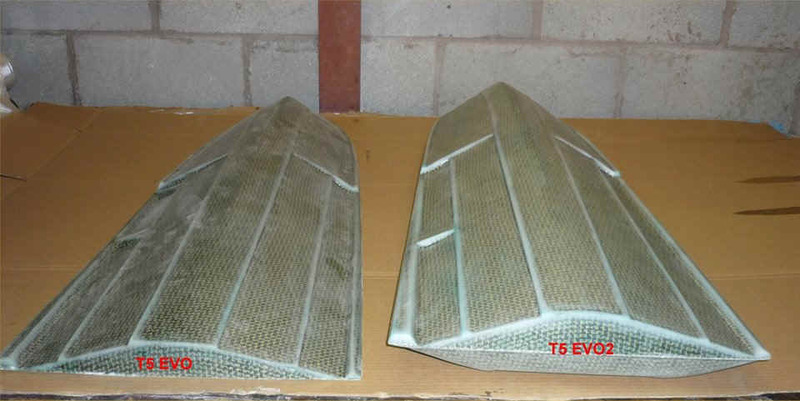 TORNADO T 7 15cc direct and geared 15cc moulded from vacuumed glass and epoxy plus a new stronger joining system for very high strength and durability in crashes. Includes lightweight epoxy glass tank and engine cover of the type shown in the pic above. CW5 Carbon wing. 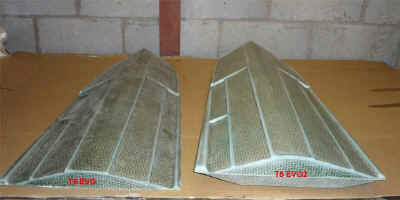 Special strong vacuum moulded carbon/epoxy wing for the all Tornados. Wing is cut oversize and must be finished by the buyer.